Making this! 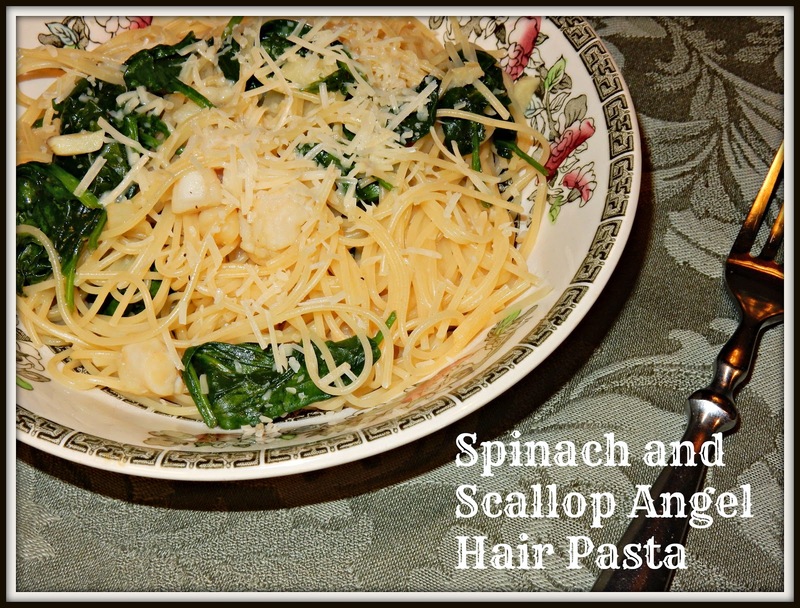 Pasta, scallops and spinach? Probably making it this weekend! Sounds real good Lisa, I would cook my scallops at the very end to keep them tender maybe. I like to use the bay scallops for something like this, but like the big ones even better. That sounds like an excellent meal and I really like the idea of using Kale. Plus the big one for me being a graduate student is it being cheap and quick. Time is something I seem to have so little of (don't we all) and to find a balanced quick meal is always great. Thank you for sharing. het ziet er echt heerlijk uit,geen wonder dat ze graag bij je eten. This looks awesome. My daughter loves anything with pasta. I am sure it would be a hit! This looks really good! Larry would like it too because he especially likes scallops. I didn't know you could get things like that at the dollar store. I need to do more exploring! That sounds delicious. Enjoy your weekend. I haven't had angel hair pasta on our dinner menu for awhile. This one looks good! Me too, and this looks and sounds so very delicious too! This looks awesome!!! AND I have two bags of spinach in the fridge! I have no scallops, but I am making salmon tonight. So I will use the leftover salmon tomorrow night instead of scallops, cannot WAIT! Looks like something I will try! I'd have to swap out the spinach. lol Looks tasty! I'm not a fan of scallops but I think I'll give it a try with shrimp! YUM! When I was a young man we used to go "scalloping" off the coast of Florida. You took an orange sack, one of those they sold oranges in, made of nylon mesh. Then you swam along the bottom in about eight feet of water, running your hand through the sand. The scallops would move and you'd see them and put them in the sack. Then we'd have a big fish fry and boil them up , have mullet and crab at the same time. Your post brought back some good memories. This does look great. I like spinach in pasta. I got some smoked scallops in a tin at Dollar Tree and they were tiny but tasted good. Not like scallops though, milder.